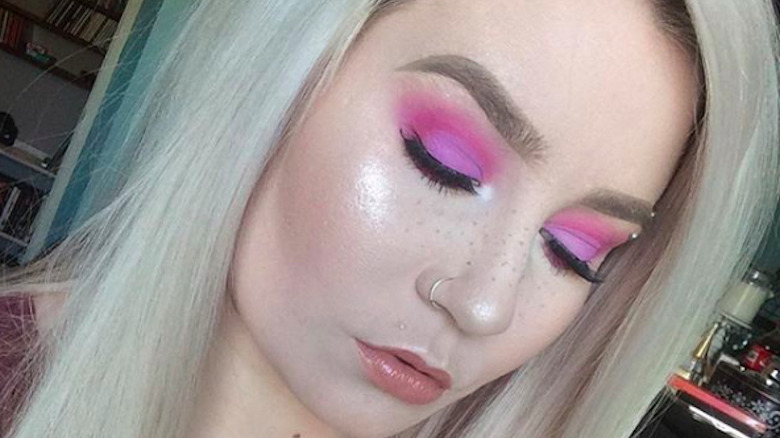 It seems like every day there’s some new beauty trend buzzing around on social media. 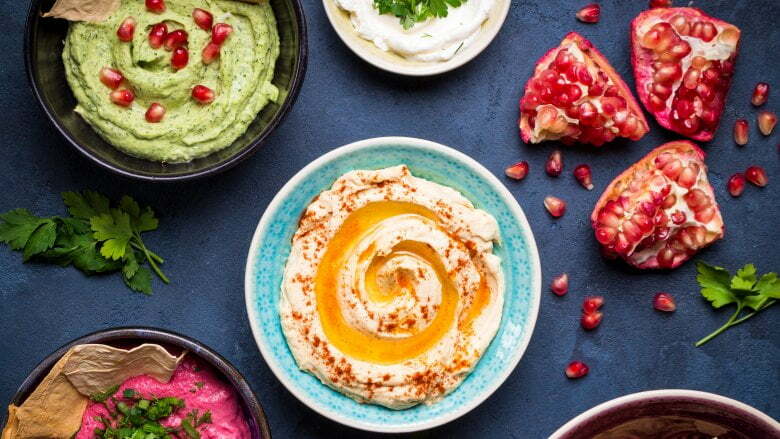 We’ll admit, sometimes beauty trends are way overdue. 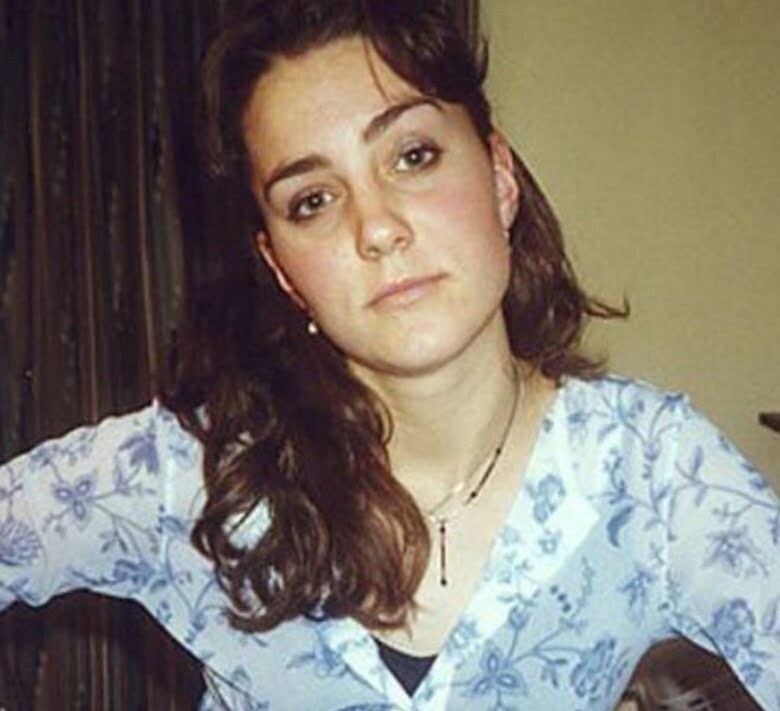 For instance, fuller eyebrows — the overplucked brows of the ’90s and early 2000s weren’t doing us any favors. Other times, they’re just so weird you have to see them to believe them. 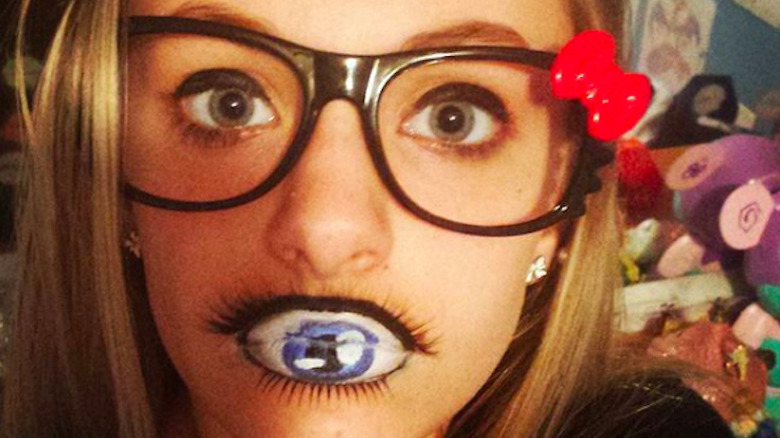 Here are some of the strangest beauty trends currently circulating on social media. But considering the way trends go, these could be out of style just as fast as they came in style. Now, to be perfectly honest, neon eyeliner doesn’t sound too weird in theory. Highlighter is all the rage for brightening up parts of our complexion and I’m all for bright things, so why not brighten up my eyes too? Even though it may look like neon eyeliner makes your eyes really glow, it’s — like many things in the makeup world — just an illusion. All it takes is some crisp white eyeliner, bright eyeshadow, a steady hand, and some patience. It’s even something you can do on your lips! So the next time you need a look that really brightens up the room, you know exactly how to do it. I don’t know about you, but one of the things I strive for when it comes to doing my makeup, is to avoid looking like I did when I applied it for fun as a young kid. 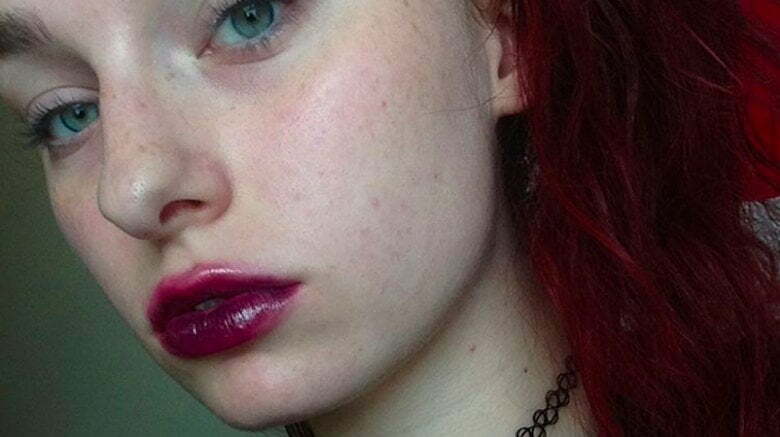 But the “lollipop lip” trend even takes its name from something you’d see on a small child. Think about the last time you saw a kid with a lollipop. Chances are, that sugary, artificially colored goodness ended up all around her mouth. That’s exactly what the lollipop lip trend is going for. Not only does Huffington Post point out that this is probably not great for your pores, I’d be willing to bet that it happened as a mistake the first time. My guess is that a hot and heavy makeout session soon followed by a photo before the person had a chance to fix their lipstick somehow led to “No, that’s totally the new trend,” and it somehow caught on. Beauty gods, help us all. Sometimes life gets busy and you just don’t have time to make it to the salon to touch up your roots. I get it. Even with the best balayage, you can only go so long before the only thing that’s going to get your hair back to looking normal is a dye job. Unless you have some glitter on hand, that is. Just attach some to your hair right at those problem roots and you’ll go straight from drab to fab! It isn’t just reserved for hair mistakes, either. People reported that this trend popped up on the runway, and even Kendall Jenner sported the look in 2016! Now, you can find glitter roots on brides at their bachelorette parties, in the part between braids, to add a sparkly pop to halloween costumes, and pretty much everything in between. You do you. 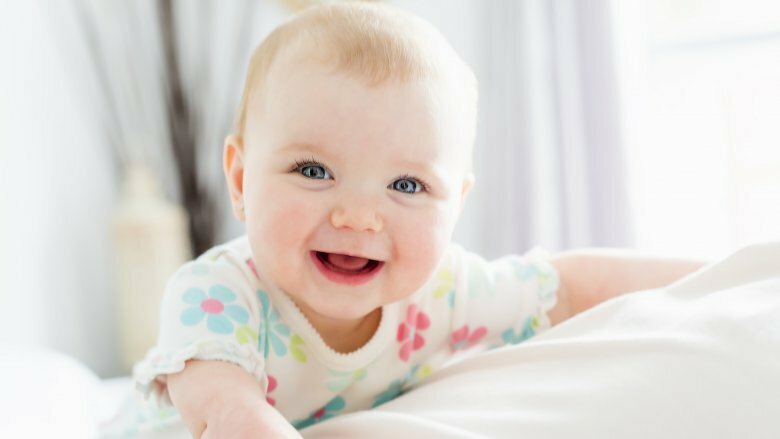 Yes, you read that right — and it’s just as bizarre as it sounds. Gone are the day of nose hair trimmers. Gone are even the days of letting your nose hair be natural. 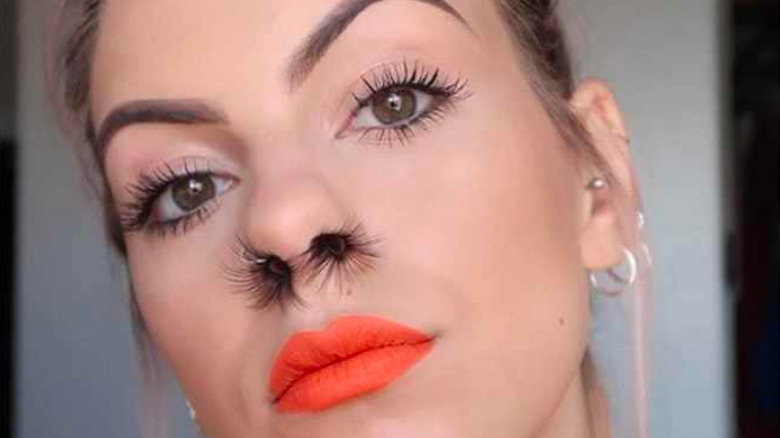 We seem to have entered the era of nose hair extensions. To be fair, this one started as a joke, but that hasn’t stopped it from trending. If you’re wondering how in the world you go about getting nose hair extensions, you’ll either be relieved or horrified to know that they’re false eyelashes either applied around the nostril or shoved right up in there. I think we’ll pass on this one. 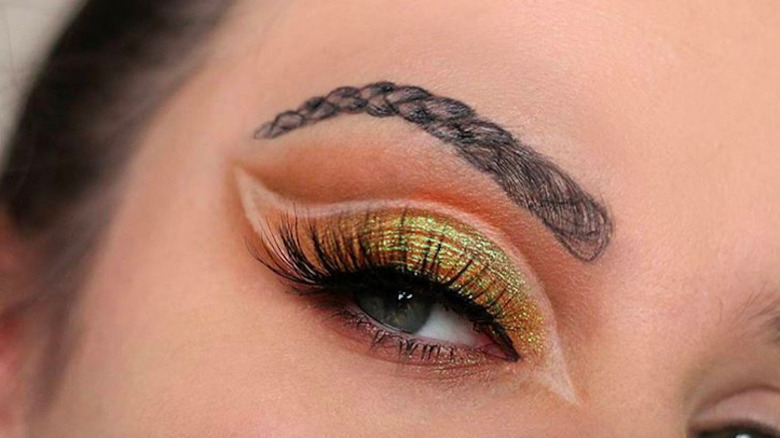 The braided eyebrows trend is one of the ones that start with someone’s Photoshopping skills and evolve from there. This took over after the squiggle brow trend and, while most people (no people?) have eyebrows that are long enough to actually braid, Photoshop works wonders. 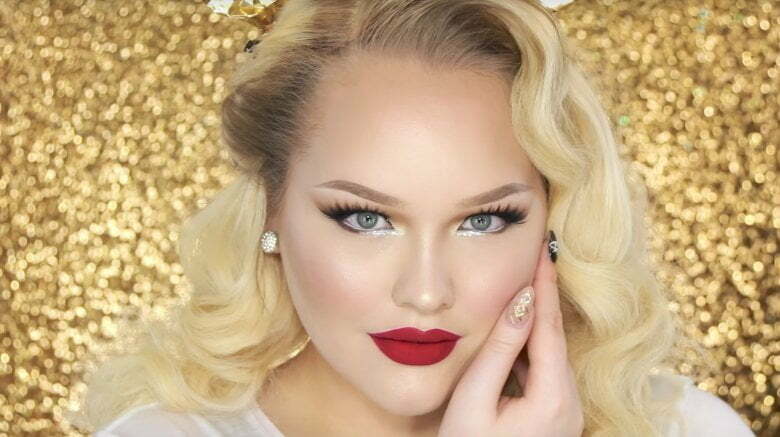 Some beauty bloggers, however, decided that Photoshop is just too much work so why not stick to what they know? If you’re good with makeup and have some extra time on your hands, give this one a go. I’d personally probably be better off trying to learn Photoshop. Or, you know, just leaving my eyebrows alone. 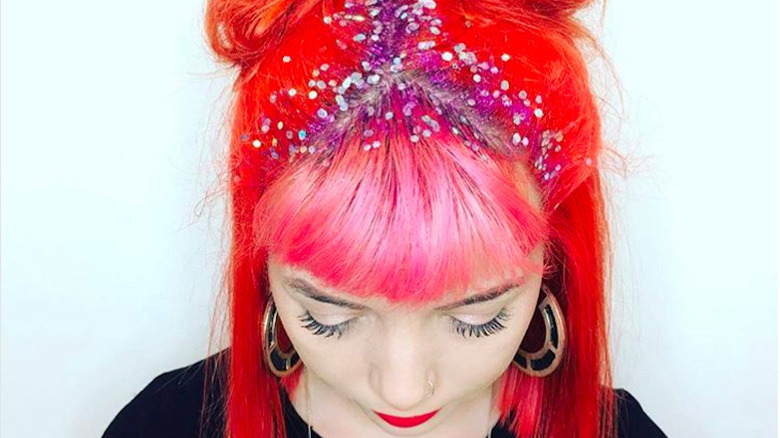 Glitter roots are one thing, but hair isn’t the only unexpected place that people are putting glitter. 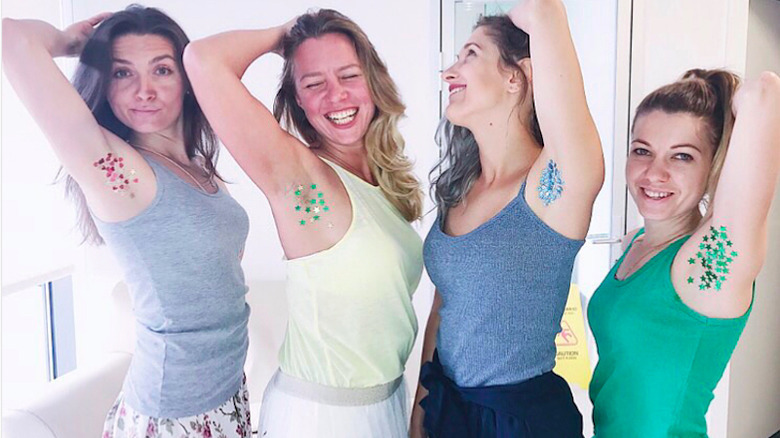 It seems like this particular glitter trend is not only used to hide things you’d rather not deal with (hello, not having time to shave your armpits), but it’s also great for highlighting your, um, assets. From booty bling at festivals and events to glitter in lieu of a bra, who knew that sparkly little flakes were so versatile? While glitter seems to attach itself to everything in its path and never let go, I don’t know whether I’d be confident enough in its sticking ability to use it to cover certain areas, if you know what I mean. Sparkly is one thing, flashing is another. This one has been around since 2014, according to Marie Claire, which makes me think it might stick around for a while. I don’t get it, but it is what it is. It involves exactly what it sounds like, putting makeup on your ears, either just in part or on the entire ear. 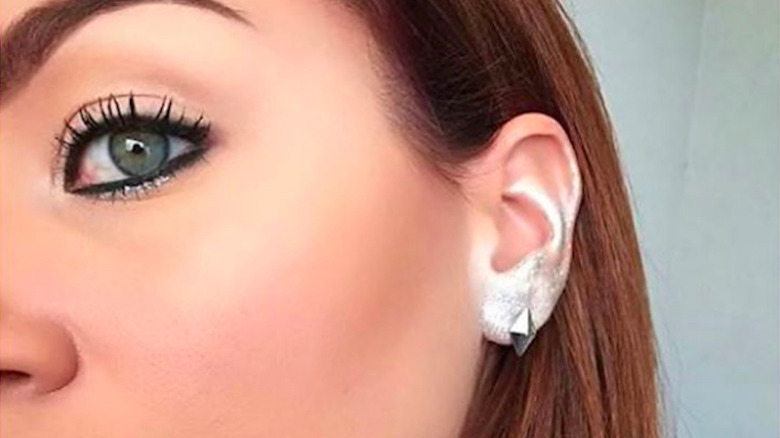 I can understand (maybe) the desire to make your ears a bit more interesting and I get that not everyone wants to wear earrings, but in the time since I’ve learned about this trend, I’ve noticed just how often I touch my ears. Whether it’s tucking my hair behind them, scratching an itch, or maybe even touching them because I’ve been thinking about this trend, it’s clear that I touch them way too much to ever allow ear makeup to last more than just a few minutes. But hey, it looks pretty neat, I guess. 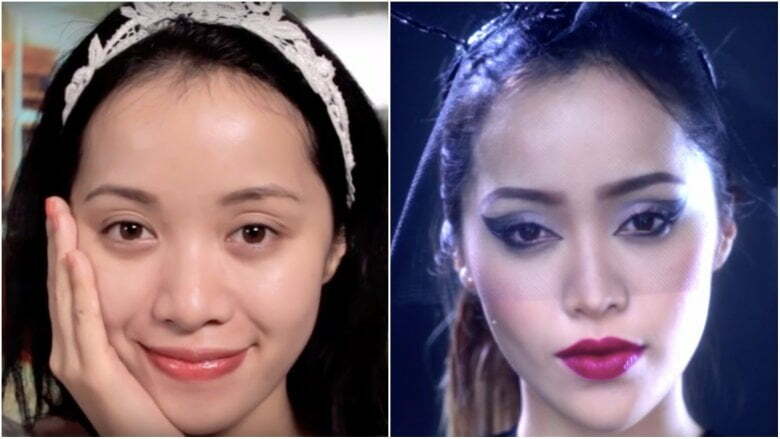 This one is taking the term “makeup artist” to a whole new level. We all know that it takes a lot of patience and ability to perfect your makeup, but for some people, it isn’t just about hiding dark circles or making their cheekbones pop. Lip art, particularly of the 3D variety, is all the rage. Sometimes it’s done with just makeup and illusions, and other times it includes things like mini pearls and sequins to enhance the look. 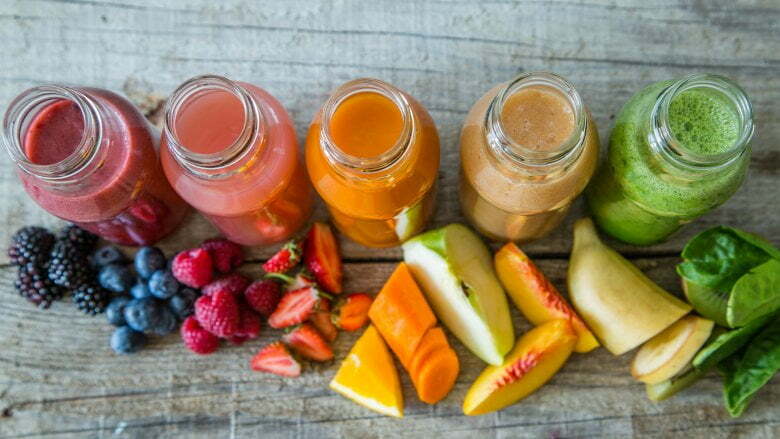 I can’t be the only one to wonder what happens when you need to eat or drink! I’m lucky if I can get my lipstick right when I’m just going for a little color. My mother is a natural redhead, which means I’ve been blessed with an abundance of freckles, including on my face. I’ve never been someone who tried to get rid of my freckles with lemon juice and whatnot, but I’ve also never encountered anyone who went to great lengths to have freckles. That may be changing. Apparently anyone can get that freckled look without ever getting out in the sun. Whether they’re achieved with makeup like brow pencil or permanently etched into the skin through tattooing (really! ), freckles are clearly in. There’s no denying that false eyelashes can help make a big statement. They’ve become pretty commonplace with people even having extensions professionally applied to last for weeks. I’m probably one of the few remaining people who has never tried false eyelashes (even the kind you can pick up at the drugstore). 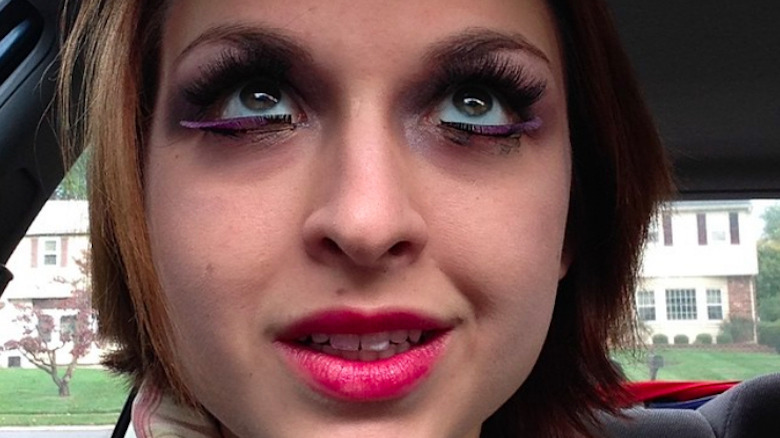 Apparently even the false eyelash trend has evolved — it now includes false bottom lashes. It certainly makes for a dramatic look, but I can’t wrap my head around how it must feel to have such long lashes on top and bottom. Then again, my lashes are so short they’re virtually nonexistent, so maybe I just need to give it a try.